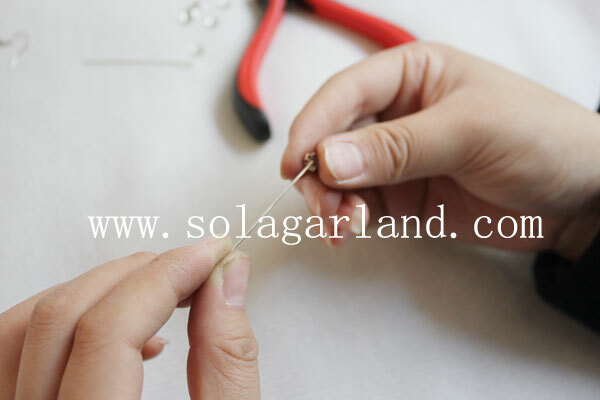 Welcome to choose the jewelry beads or finished jewelry from us ,Sola Garland Factory. 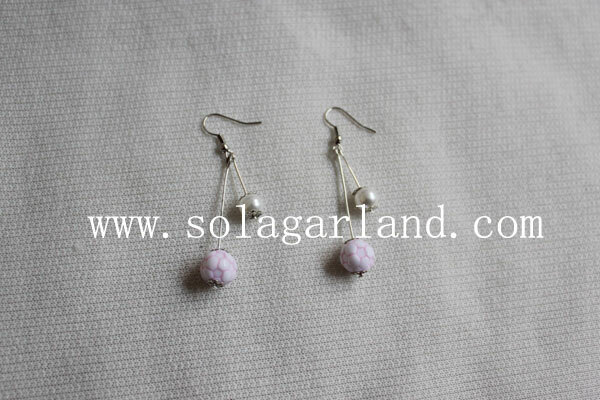 In here we make is pearl ball Beaded Earring. 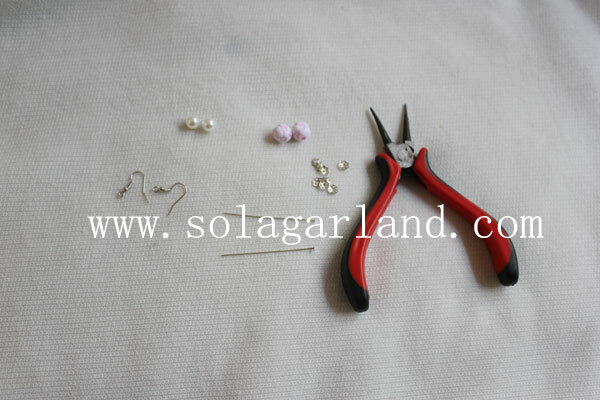 First you should to prepare the pliers contain the round nose pliers ,headpin, metal bead caps, pearl and another lovely football beads and earring hooks. Then we start to make the earring by yourself. 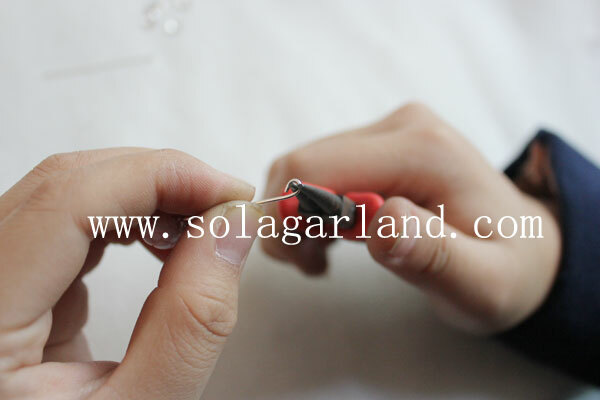 Let`s find a headpin, the headpin is flat on the bottom,we put one piece bead caps on the bottom first then we can string the beads and don`t worry the beads holes is large than flat bottom of the headpin. 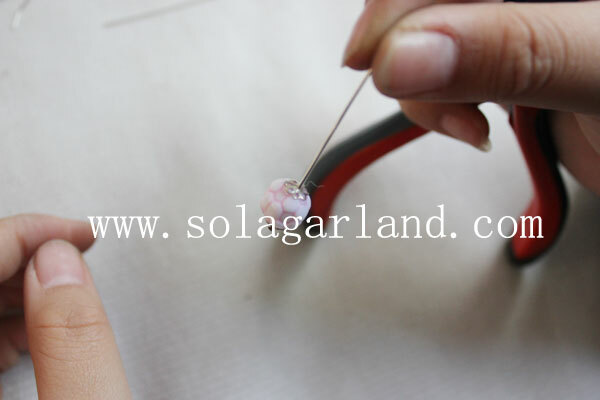 On the top of football beads ,also can add one silver bead caps make it looks nice.After done these , we use the round nose pliers to bend the top of your headpin as a half circle. Then put the earring hooks in to the half circle and bend the headpin to a round circle by the round nose pliers. After the pearl beads also do the same steps. One pair beaded earring jewelry will be done. Sure you can use the beads you want , like miracle beads, Flower Beads, round beads , butterfly and so on. 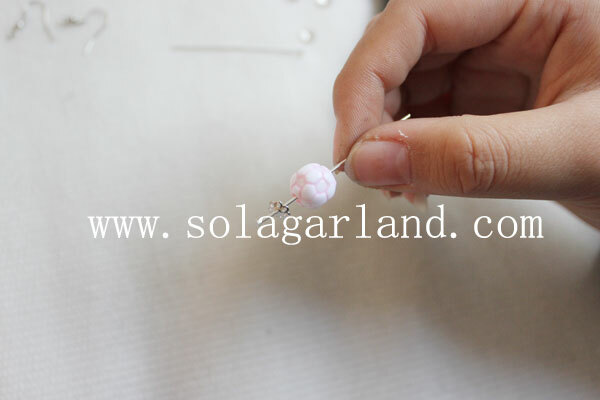 Also some girls like put full beads on the headpin, it will be by your design.